Time flies when we’re having fun and with over 100 events and happenings – playshops, workshops, writers and poetry groups, author events and lectures, demos and musical performances, to name a few – the year flew by. We were delighted to bring new understandings and discoveries, new forms of self expression and smiles to you. We were delighted to offer the Historic Lowe House as the venue for over 60 artists to share their skills and talents through playshops, workshops, and exhibits. Real sunflowers cultivated Village-wide were the inspiration for our plein air Van Gogh Sunflower Paint Out artists. The number of bidders for the silent, and not so silent, auction doubled this year. 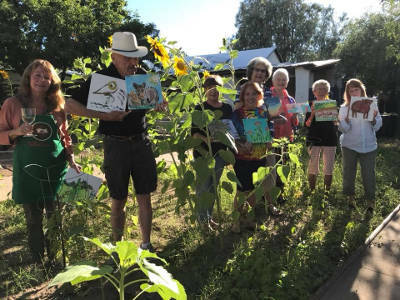 Lots of folks walked away happy; artists, many who sold, and participants who purchased their very own Tubac sunflower painting. A grand success thanks to volunteer Co-Chairs Pamela Wedemeyer and Dimity Hammon! 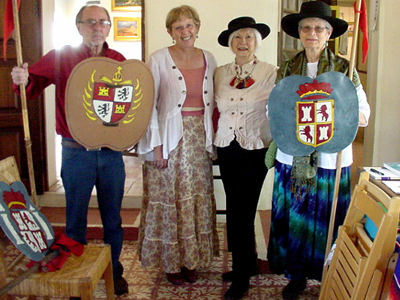 Over 40 volunteers really got into the spirit of a living history tradition of Tubac: Where Art and History Meet. They came alive taking on the costumes and characters of Spanish Soldiers, Jesuit priests, and Mexican farmers, senoritas, and artists while telling the stories of the lives and times of occupants of nine of Tubac’s adobe buildings over 300 years! 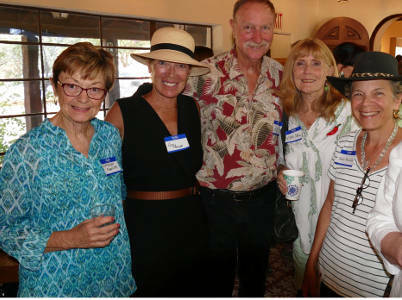 The volunteers – too many to mention here – delighted close to 100 participants in the Old Town Tubac Historic Adobe Building Tour. 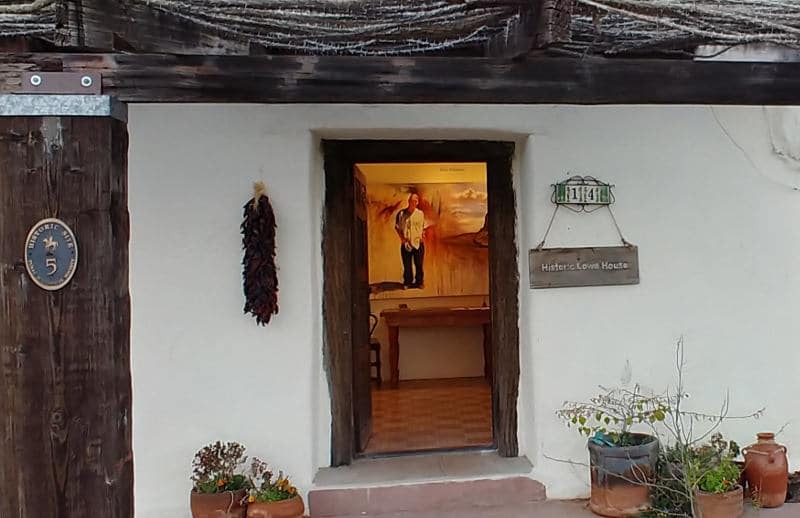 Last year’s tour was a collaboration with the Tubac Presidio State Historic Park with funding assistance from the Tubac Rotary Club and the Tubac Community Center. 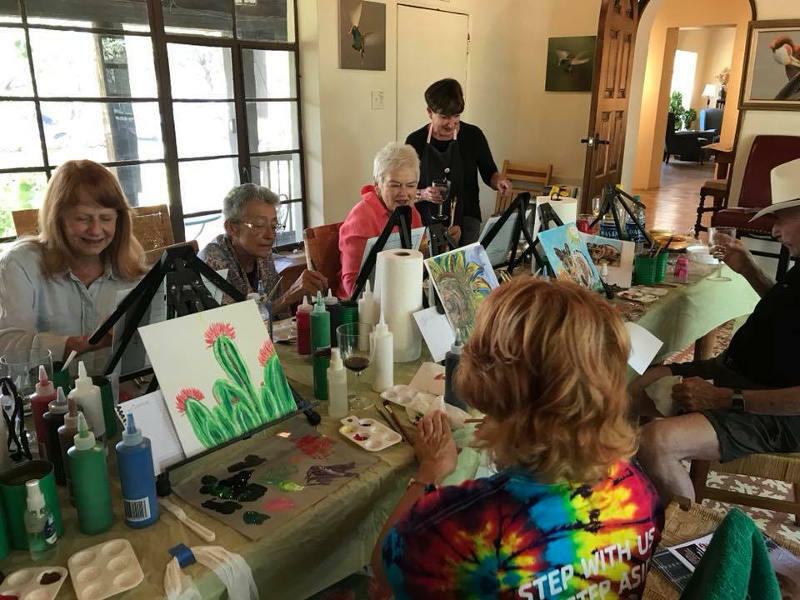 Great fun, and brings positive attention to the tradition of Tubac: Where Art and History Meet, Lowe House Project, and the Presidio. Our artist residents this year were exceptional and spanned an amazing array of humanities disciplines – astrophotography, papermaking from mesquite beans, video, ice-dyed silk scarves, Ukrainian egg decorating, author talks on self- and e-publishing. Check out past events on our calendar. This past year we held summer events – our first year-round programming! – including a Meet & Greet in June to welcome new residents to Tubac and to afford our non-profits the opportunity to share their stories and engage the newcomers. Ninety, yes, ninety people filled the Historic Lowe House with their new and continuing community spirit during the hottest month of the year! 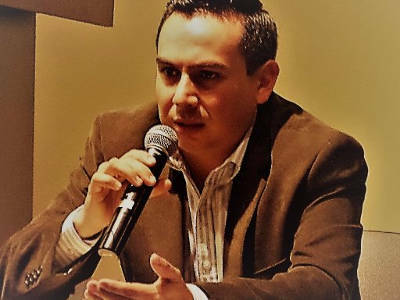 We have been grateful for the assistance from the AZ Humanities Council and the Santa Cruz Community Foundation for their support of our Rio Compartido/Shared River program. In collaboration with the Friends of the Santa Cruz River, we have welcomed artists from Mexico and across the US to join in our hikes, tours of the Santa Cruz River, and lectures for an immersion into its essences. In turn, these artists have translated their experiences into creative work: pastel paintings, mixed media paintings, poetry, and a book. 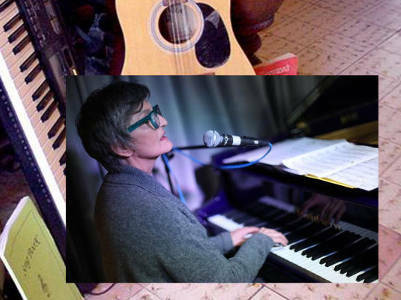 Our artist resident Sharman Nittoli returned and established Jammin’ at the Lowe House, a new musical venue for musicians which we hope down the road will make it possible for creative collaborations, instruction, and music appreciation sessions. I could go on and on, but we are already off and running for 2019! Take a look at what’s coming up on our calendar of events! It keeps growing with happenings all the time! Look for the return of some of our favorite resident artists and new programming, like “Lost Arts-Revisited”, where some of those favorite creative endeavors we marveled in the past are brought forward with new vitality and appreciation. Be on the lookout for more Calls to Artists. 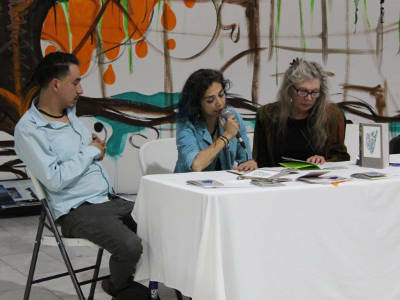 We are hoping to attract creatives working in sculpture and music to add to our line up of painters, poets, and authors from Mexico and the US participating in our Rio Compartido/Shared River program. 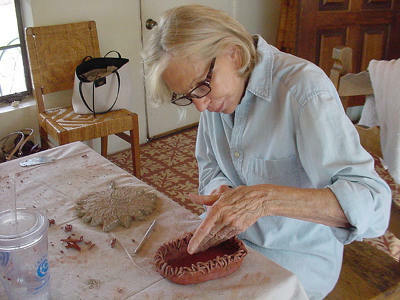 Selected works, in all media, created by participating artists will be exhibited during our Rio Compartido/Shared Exhibit in conjunction with the Smithsonian Institute’s national traveling WaterWays exhibit to be held at Tubac Presidio State Historic Parks from mid-October through November. More programming and facilities for our writers and Tubac artists are in the works. And, more collaborations will provide more opportunities for fun, new discoveries, and self-expression via the humanities. Check for “breaking news” about some exciting new collaborations! We look forward to another spectacular year and welcome you to join in the fun and mission as creatives, participants, volunteers, and sponsors to keep the Lowe House Project going and growing!